How Cool Do Meetings Really Need to Be? Many companies want employees to be more collaborative, and have the flexibility of teleworking -- but those two initiatives aren't always complementary. Between this writing (early Thursday morning) and tomorrow noon, I have seven business meetings on my calendar. Next week, I have 20 meetings, to date. Some I'll attend in person, others via phone, and maybe one or two via video. The experience won't always be perfect... but not because of whom I'm meeting with, or the agendas. It's the vagaries of the meeting experience overall that will make the difference. At Enterprise Connect and No Jitter, we're pretty low tech in our approach to our internal meetings. We have an audio conferencing bridge, of course. Nothing fancy. We have a video conferencing system. I think I've seen it turned on only three times in my tenure, one of those more or less accidentally. We have a whiteboard, and not the digital sort. Internally, we can share our desktops via our UC client. When we're working remotely, we have our smartphones, laptops, and our audio conferencing and UC services at our disposals. We've dabbled with persistent team collaboration capabilities. From time to time we get video meeting requests; sometimes we accept them, other times not. I suppose you could call us unsophisticated, technology wise. We have no cutting-edge interactive or immersive digital workplace systems a la Cisco Spark Board, Microsoft Surface Hub, or Oblong Mezzanine. Our calls don't follow us as we move from our cubicles into the conference room... or out into the hallway. Maybe we're simple folks, using yesterday's meeting technology, but somehow or other we manage to get the job done (and not too shabbily, I might add). And I would suspect that if I were to ask for a virtual show of hands, I'd see that most readers find themselves in a similar situation, meeting wise. So I don't know about you, but when I read about the latest meeting technology or app -- that must-have for creating the perfect meeting experience -- I always wonder, how much of a difference might it really make? I thought about this again last week, in hearing about the efforts Plantronics has been making to create a pristine office work environment -- one that allows meetings to take place in the same space as desk work without either being negatively impacted (read the No Jitter post, "'Habitat Soundscaping': You Didn't Know You Needed It"). The development came out of frustrations Plantronics employees themselves were having in dealing with their open offices (and you know those folks had access to some pretty good headset technology to cancel out conversations and other environmental background noise). Plantronics promises that its intelligent acoustic management service transforms "distracting, dysfunctional, open office spaces into peaceful environments where people can focus, collaborate, and thrive." Fascinating stuff, as contact center expert Sheila McGee-Smith wrote in that No Jitter post I mentioned above. But is it over the top? Perhaps for some, but Plantronics tells me it has several large enterprises beta testing the service. 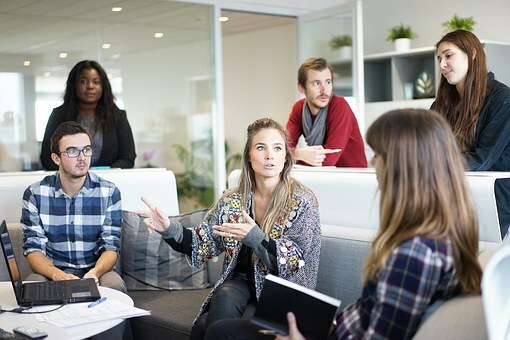 In-office environmental improvements such as these, as well as development of next-generation, interactive room systems, aim to improve the overall meeting experience. We see a complementary force enabling that great meeting experience on our mobile devices as well -- a la your video meeting apps from cloud-native companies like Highfive and Zoom, or team collaboration apps like Cisco Spark, Microsoft Teams, Slack, and so on. The speed of digital technology has allowed workers to be mobile and flexible, and more employers continue to embrace remote work policies. But it has also created demand for continuous updates and real-time collaboration. And that change has driven some companies -- including IBM, Best Buy and Yahoo -- to recall some of their remote workforces back into the office. As part of the episode, NPR interviewed Robert Martin, identified as a software consultant and early advocate of the agile work method. In his estimate, "collocation is a key part of collaboration." Agile is collaborative in nature, he went on to say, and that means "people need to be in the same room." In large part, it's about speed of iteration -- "Because we're making many rapid changes in sequence, we have to be able to communicate those changes quickly." So it may make sense for this handful of companies to pull back on remote work. But telework is going to continue as a viable option -- if not a selling point -- at many companies, even as they attempt to become more and more collaborative. And that means they'll want those cool mobile meeting capabilities, too. So if you could only invest in one sort of meeting technology, which would it be? Are you going to invest in optimizing the physical space and in-room experience, or in making the meeting experience seamless for the mobile employee? Maybe that's not a fair question, cost wise -- a bit of an apples-to-oranges comparison -- but budgets aren't infinite, so in practice, the decision may very well be an either-or for many enterprises.